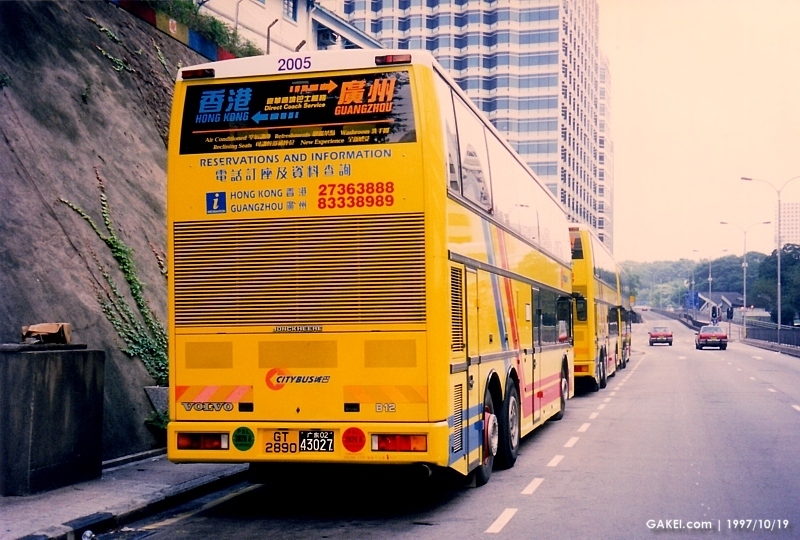 Citybus introduced 5 Volvo 3-axle B12 double-deck coaches (fleet numbers 2001-2005) in 1996 for the Hong Kong - Mainland China cross-border bus services. 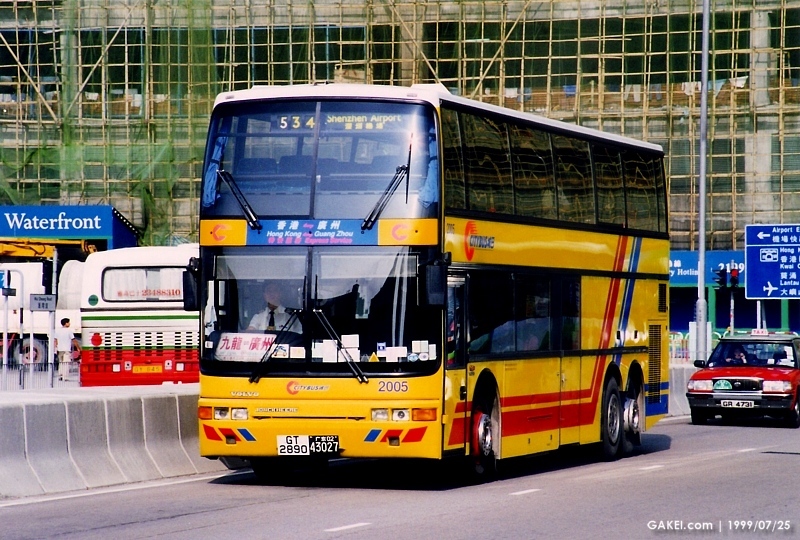 They were 12-metre long and were fitted with Jonkheere bodies. 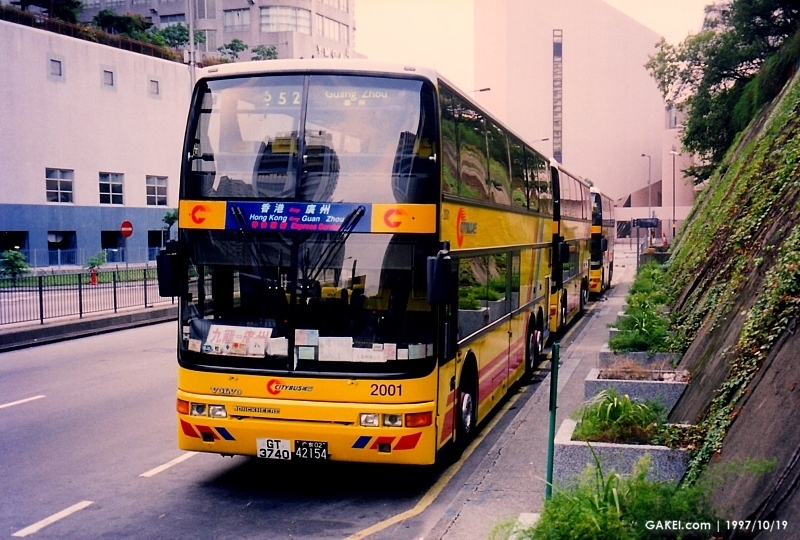 Following the termination of the cross-border bus services, Citybus withdrew the buses from its fleet in March 2001 and they were subsequently sold to Ritchies Transport Holdings of New Zealand in July 2001.